There are several ways to fix rainscreen cladding panels back to the building’s frame. These methods are detailed in this section as follows. There are however two components that are common to all fixing methods which are a timber batten or an aluminium rail. The wooden battens are 50 x 50mm as a minimum requirement but this will vary according to your specification. The aluminium rails come in several widths and shapes, see below the most commonly used. 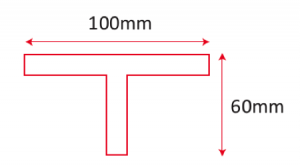 All rails are based on 2mm thicknesses. Please note other rail sizes are available. Fit the cladding panel back to a hanger which itself sits onto the rail. 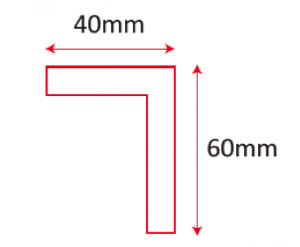 A Helping Hand Bracket is an L shaped bracket which allows facade materials to be applied to a building, giving a ventilated facade or cavity depth of 60mm up to 400mm, and can be fitted to either steel frame or masonry. For further information please contact a member of our technical team.